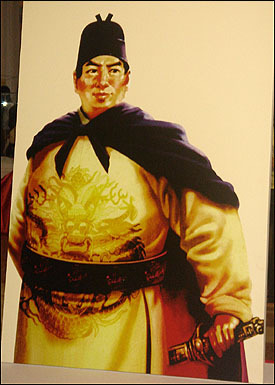 The 600th anniversary of Chinese Admiral Zheng He (Cheng Ho)'s maritime expeditions, celebrated this summer across Asia, not only provided an opportunity for Beijing to promote China overseas; in the world's most populous Muslim nation of Indonesia, the celebrations also exacerbated ethnic tensions over the stewardship of this Chinese Admiral's legacy. Zheng He represents the convergence of civilizations; for being a Muslim who also prayed to the Chinese Goddess of the sea while being an erudite student of Buddhism. From 1405, when Zheng He departed from Nanjing, China, to 1433, his vast armada voyaged to South East Asia, India, Africa and the Arabian Peninsula. Zheng He shared the knowledge of the Ming Dynasty with other cultures, we are told, and deserves to be celebrated as an embodiment of the pluralism that much of Asia is striving towards in this age of religious extremism. The Chinese government spent over two years preparing for the celebrations, enlisting various departments, including the Ministry of Foreign Affairs and Ministry of Culture, in an attempt to emphasize the peaceful diplomacy of Zheng He's voyages. According to China's Vice Foreign Minister Zhang Yesui, the voyages promoted the peaceful coexistence of various civilizations, demonstrating China's cultural tradition of friendship in international relations. Beijing had hoped this historical narrative of Zheng He would reflect on the present. China is not a threat to anyone, but is a generous, peaceful and multicultural nation without colonial aspirations, in stark contrast to the west's often rapacious colonial tendencies. However, according to Dr. Myrna Sidharta who has done extensive research on Zheng He, his actual purpose was to extract tribute and force recognition of the superiority of the Middle Kingdom from the nations he encountered. Another lack of emphasis has been Zheng He's Muslim faith. Born a Central Asian Muslim in the province of Yunnan in 1371, his nationality and ethnicity have been the central focus for many of the celebrations, including those in Indonesia. For centuries, the ethnic Chinese in Indonesia have regarded Zheng He, also known as Cheng Ho, as their saint. However, the celebrations have stirred up old suspicions, exacerbating divisions in the central Javanese city of Semarang. The city hosted a week long Cheng Ho International Exhibition at the beginning of August. According to some city officials, the lack of Muslim content caused resentment among members of the indigenous population. Such feelings are not to be taken lightly in Indonesia. In 1965, following the CIA supported coup that brought former President Suharto to power, up to one million people were killed, according to Amnesty International, for being communist. In what has been called one of the most overlooked massacres of the twentieth century, many of the victims were ethnic Chinese. In 1998, as Suharto was thrown from office, more riots erupted, albeit smaller, but nonetheless brutal. This time the Chinese were accused of being capitalists, for controlling up to eighty percent of the economy. Today, old suspicions have gained traction. Tensions have remained below the surface over the years, but that could be changing. Sita Ariawati, an Investment Promotion Officer with Semarang City, said "the Chinese community has used Cheng Ho to make a promotion for themselves" and that they were trying to turn Semarang into "Cheng Ho City." Ariawati went on to criticize the International Exhibition for not having enough of an Islamic connection. "The schedule is 90 percent Chinese and 10 percent Muslim content. Cheng Ho was a Muslim. Why not have more?" The feeling that Muslim Indonesians were excluded from the Cheng Ho celebrations was more than a perception. Benita Eka Arijani, Organizer of the Cheng Ho International Exhibition Committee and also an ethnic Chinese, confirmed that there "wasn't much about Muslims -- we've tried to combine all elements." "Pluralism is the theme -- not too much about religion," she said. 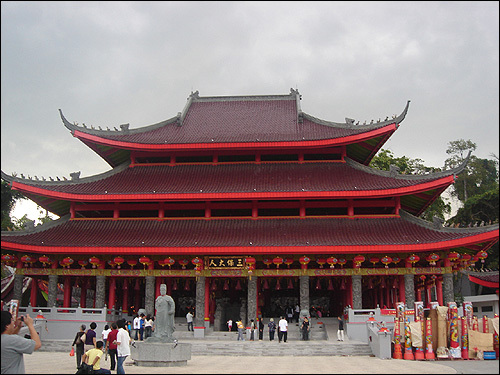 Sindu Dharmali, Chairman of Semarang's Chinese Society and of the Exhibition, confirmed that both Semarang's Tay Kak Sie & Sam Po Kong temples worked together to create the celebrations. "Muslims were not involved," he said through a translator. "The Chinese have taken care of Cheng Ho, the Muslims didn't." While it may be true that the ethnic Chinese community has worshiped Cheng Ho as a saint over the years and initiated the annual Cheng Ho parade over 100 years ago, to suggest that they have sole dominion over his legacy may be more than misplaced arrogance; it may indeed prove to be a provocative position to take in a nation where 88 percent of the population is Muslim. Frans Winarta, also an ethnic Chinese and an anti-discrimination lawyer based in Jakarta, espouses a more cautious approach. "Any celebration should not be exaggerated or popularized," he said. "We must be careful. We should also include the Muslim community for ethnic harmony." Winarta went on to say that there was still a deeply ingrained hatred remaining in the general population left over from Suharto's "New Order" era and that a backlash was still possible. However, he said there was "a split among the Chinese community -- it's pluralistic," suggesting many different views about how the community should conduct itself. He did acknowledge that the situation has improved for Chinese in general and many of the New Order-era laws institutionalizing discrimination have been "repealed" during the current era of "Reformasi" (reform). Nevertheless, Winarta cautioned against organizing more events like Semarang's Cheng Ho celebrations. "We need to make sure we're not arrogant- we should confine, not exaggerate them." Sidharta agrees that "a backlash is very possible." She cited a tendency for the Chinese community to remain too static, saying, "The Chinese want to maintain their identity and won't go back. Problem is, they go back to China for traditions, they don't create a hybrid -- they become too Chinese, or fundamentalist or even Christian." 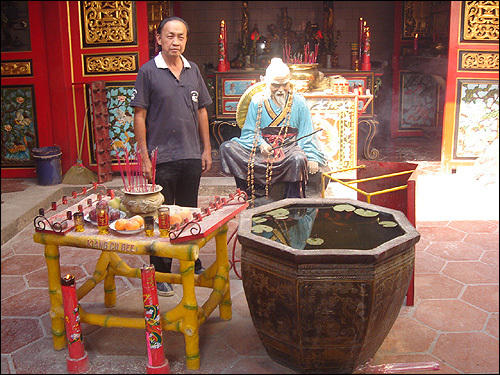 In fact, Cheng Ho was a blend of the various religions of his day: Islam, Buddhism and Confucianism. As Sidharta has said, "In the 14th century people were more syncretic, they worshipped everything, temples were everywhere. Today it's too black and white -- that's a problem. People must be more tolerant."